This attractive coffee table is a stunning addition in any rustic modern living room or office. 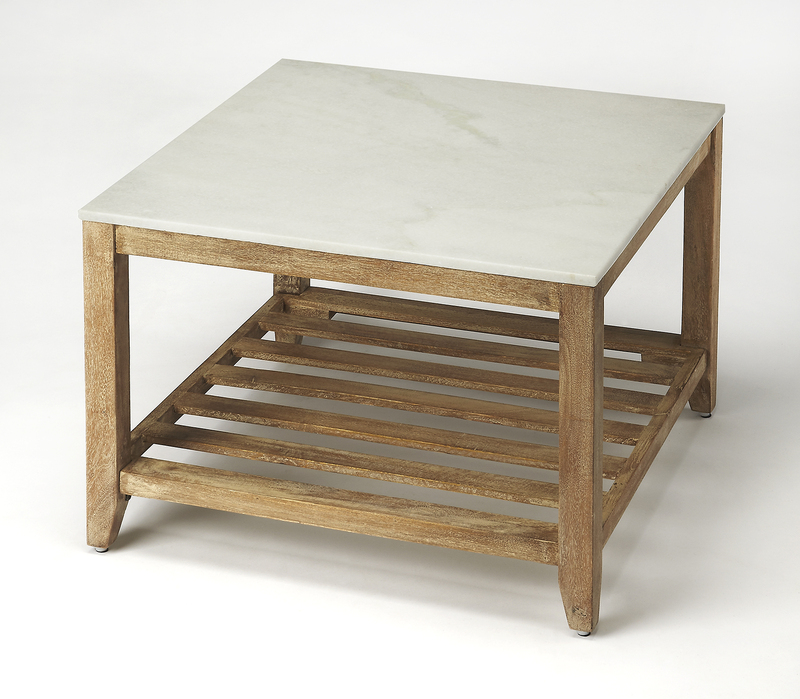 Its slatted base crafted from mango wood solids in an unadulterated natural finish supports a white marble top. Moderately scaled, it is well suited for smaller spaces, but can be bunched in multiples for a more dramatic effect in larger ones.